Advertiser.ie - Get the perfect present at Hanley & Co. 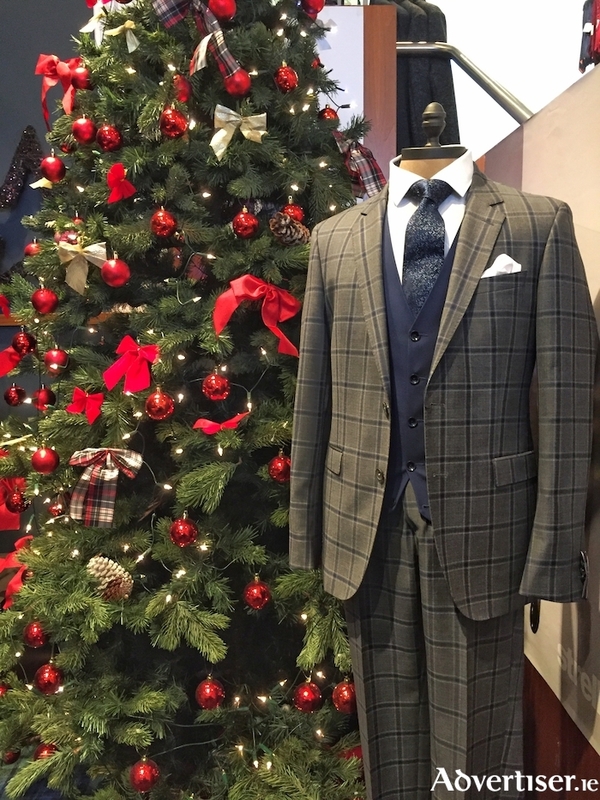 The family-run business has been styling the men of Galway since it was established nearly half a century ago by Joe Hanley and now operates two stores in Galway city on Williamsgate St and in the Galway Shopping Centre as well as a busy online shop. Store manager Paul Joyce says no matter the age, style, or customer need, Hanley & Co has something for everyone. "From practical gifts like a stylish coat to fight off the cold weather we have in Galway at Christmas to an extravagant designer shirt, you are guaranteed to get a present in here with which he will be happy. "For those who are doing Kris Kringle at work and have a budget set, there are gift boxes ranging in price from €10 to €35 so if you need a hand picking something for a work colleague Hanley & Co is here to help." "Our top brands include Tommy Hilfiger, Bugatti, Hugo Boss, Strellson, Calvin Klein, Superdry as well as the Tommy Bowe designed brand XV Kings. And to top off the look, there is a wide selection of shoes also available from Lloyd & Pryce, S Oliver, Gordon & Bros, and more." If you are unsure about what to buy, Paul says the staff are at hand to offer their expert opinion. "Customer service is central to everything we do here at Hanley & Co. Every customer gets a personalised service from professional, knowledgeable staff. "People want to get the perfect Christmas present. In a lot of cases customers will give us the responsibility of selecting the gift so it is important that our staff know the products inside and out. And of course, when customers go out the door smiling with a present with which they are happy, it is very satisfying for us at Hanley & Co."
While there is still plenty of time to pick up gifts at Hanley & Co, customers can dodge the traffic and shop online availing of this exclusive deal for Advertiser readers. Use the code HANLEY15 at checkout on Hanley.ie and get 15 per cent off your online purchase before midnight on Sunday, December 17th *. Free shipping is also available for orders over €50. *The deal applies to online only and cannot be used in conjunction with any other offer. Brand exclusions may apply and are only valid until midnight Sunday, December 17. Geography of Ireland Galway Connacht Marketing Christmas Online shopping Christmas Galway Shopping Centre store manager designer Tommy Hilfiger online purchase Apparel & Accessories Retailers - NEC Apparel & Accessories - NEC Economy BUGATTI Calvin Klein Paul Joyce Hugo Boss Strellson busy online shop Kris Kringle Hanley & Co.
Is honesty too much to ask from politicians and ourselves? Galway; the jewel in Ireland's crown from the eyes of a tourist..